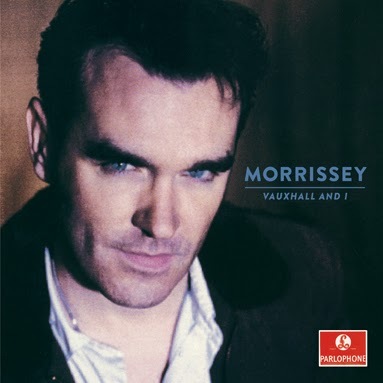 Morrissey announced Parlophone Records is releasing a 20th anniversary edition of Vauxhall And I on June 2nd. The CD and digital album download will come with bonus material -- a live concert from 1995 recording from 1995 titled Live At The Theatre Royal, Drury Lane. The reissue of Vauxhall And I will also be released on vinyl, but that format will not include the bonus live material. The tracklisting for the reissue is posted below. Morrissey's is set to release World Peace Is None Of Your Business, his first album since 2009's Years Of Refusal, this June. An official release date has not yet been announced. A North American tour in support of the album kicks off in May.